We’ve been covering MERGE! 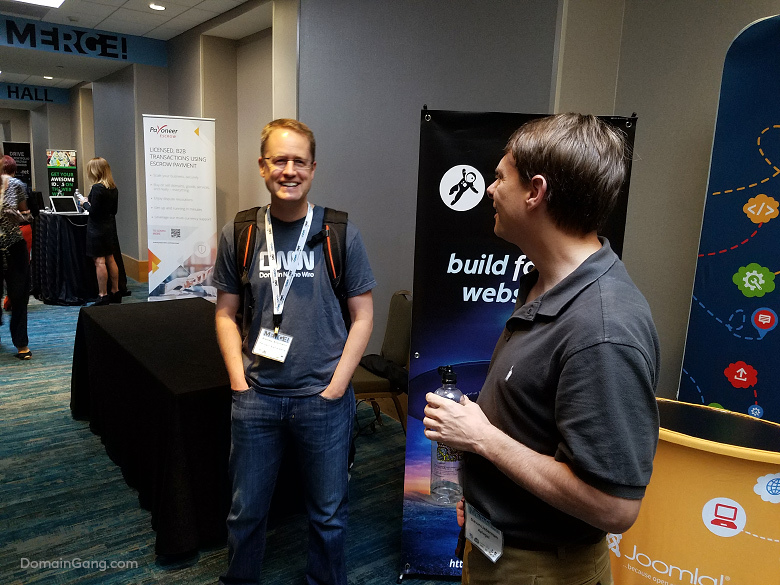 2017 in Orlando, Florida; the multi-discipline conference catering to domain investors, developers, cryptocurrency and blockchain boffins, and more. Day 3 of the MERGE! conference was quite busy, with a schedule spread across several rooms, allowing everyone to pick their preferred session. Lots of activities from 9am onward, kept visitors engaged and energized. In-between sessions, the networking rooms provided space for personal meetings, or a mental break to those that needed it. We saw lots of activity occurring at the easily accessible restaurants and cafe at the Marriott lobby. 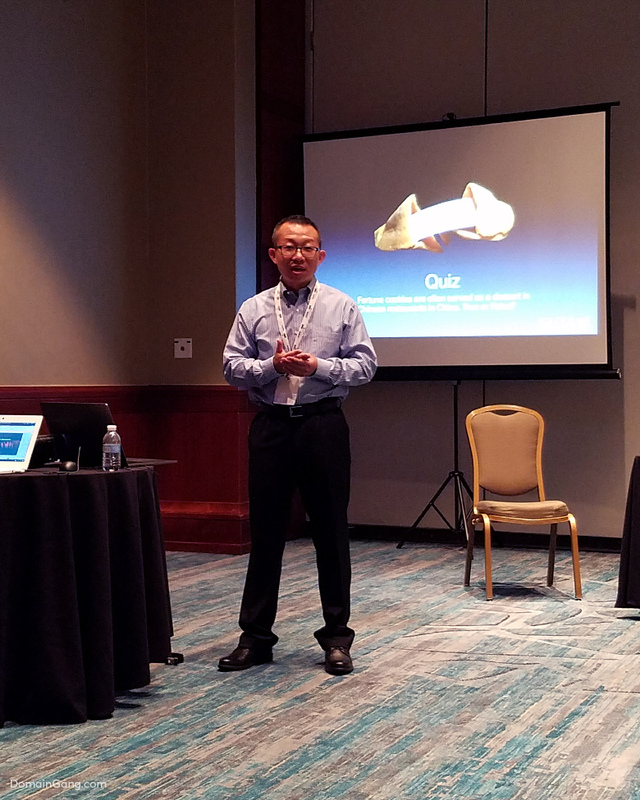 Domain investor and broker, George Hong, gave a great presentation on the particulars of the Chinese domain market, covering the explosive expansion of China’s economy and technology, in the past 30 years. George Hong pointed out that while the reseller and private investor market is saturated in China, the end-user market is as healthy as ever; that’s where the bulk of the money is. 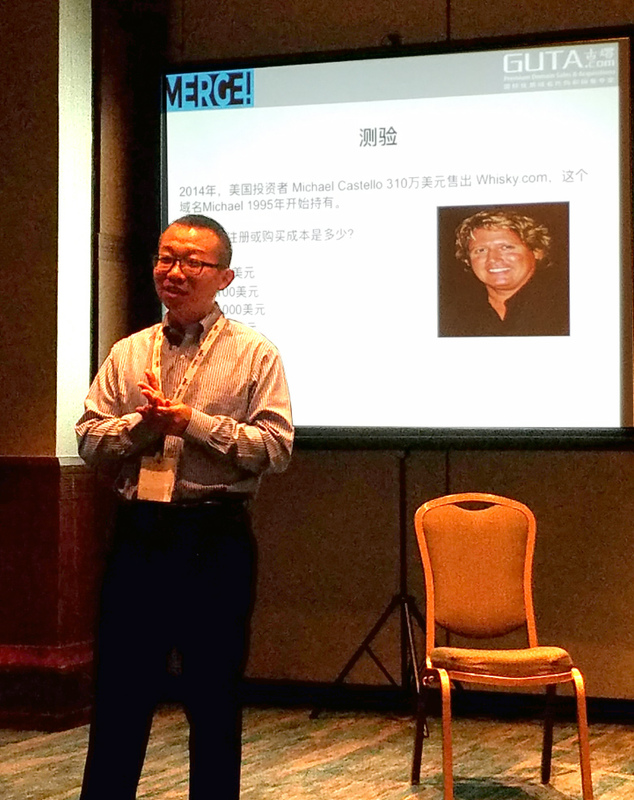 George Hong’s presentation included anecdotes involving Rick Schwartz, and Michael Castello, who apparently registered Whisky.com for free in 1995, eventually selling it for $3.1 million dollars. The sessions at MERGE! 2017 continue tomorrow, Tuesday. Check out Day 1 and Day 2 of the event, and enjoy some of today’s pictures below. 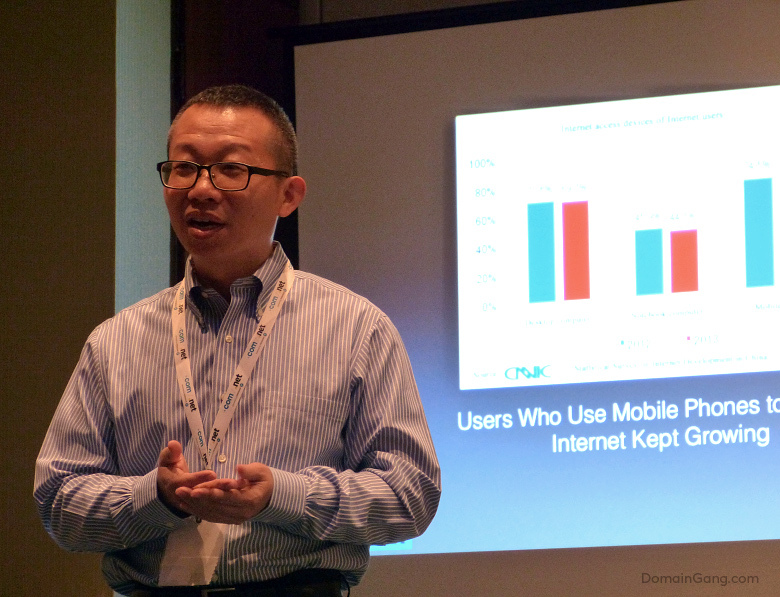 Domain broker, George Hong, of Guta.com.  Andrew Allemann of Domain Name Wire, and Stevan Lieberman of Escrow.Domains. 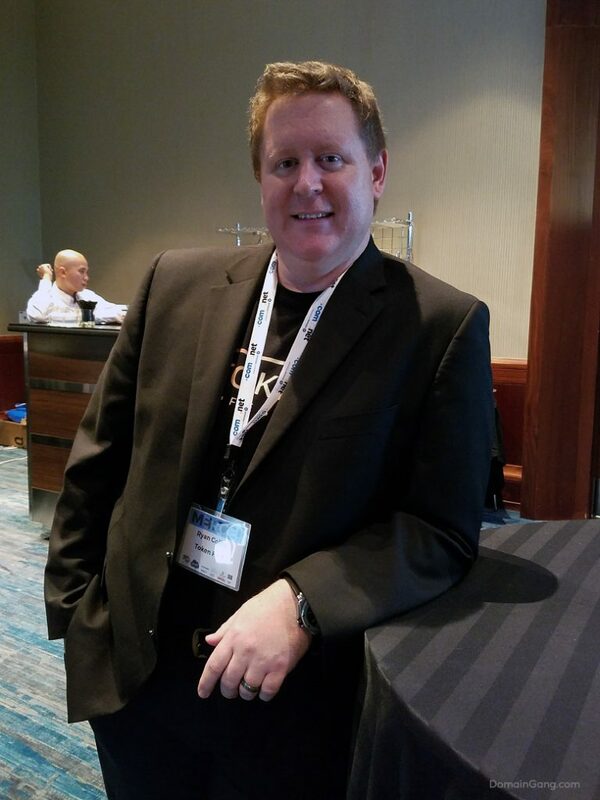 Domain broker and blockchain entrepreneur, Ryan Colby. The MERGE! 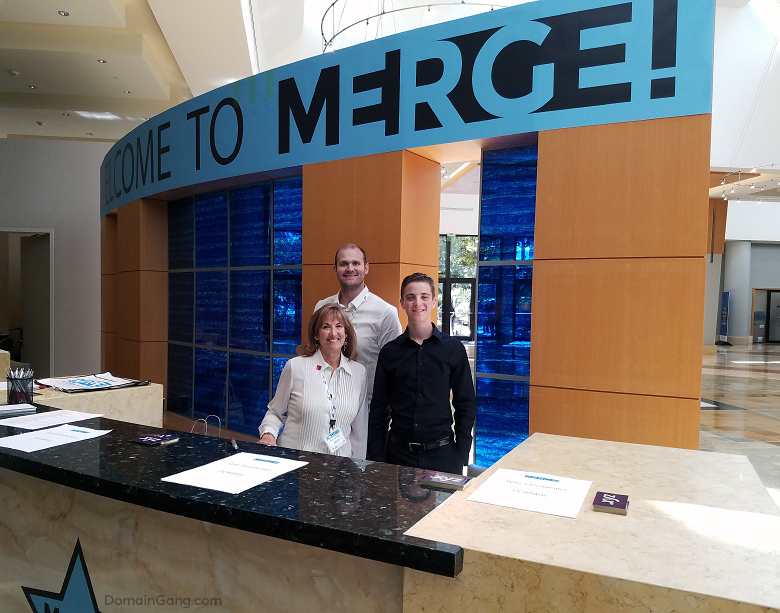 welcoming booth at the Marriott; Barbara Dillman Neu, with co-founder Ray Dillman and a staff member.  Francois – I have to confess I had a camera malfunction, and switched over to my cellphone.